When "Don't Ask Don't Tell" legislation was still in place, NALP was active in educating members about the issues surrounding the Solomon Amendment. This page presents a brief historical recap of NALP efforts surrounding the Solomon Amendment. In August 2007 a workgroup of NALP's GLBT Section issued an Amelioration Best Practices Guide. 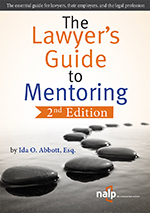 The Guide is based in part on survey research conducted at NALP member law schools at the end of 2006. This free resource can be downloaded in PDF here. On June 29, 2007, NALP submitted comments on the new proposed Solomon Amendment regulations that were issued by the United States Department of Defense on May 7. NALP's comment document can be viewed here in PDF. The deadline for submitting comments on this matter is July 6. The complete text of the proposed new rules can be found here. On May 7, 2007, the Department of Defense issued proposed regulations that would change the way the Solomon Amendment is implemented and enforced. The new regulations propose to clarify the rules about access to campuses and access to student directory information. Specifically, the new regulations would require that military recruiters be given "the same access to campus and students provided by the school to the nonmilitary recruiter receiving the most favorable access." The proposed regulations also define the very narrow circumstances under which students may opt out of directory information that is shared with military recruiters. Law students, staff, faculty, other interested parties and members of the public have until July 6, 2007 to comment on the proposed rules. The complete text of the proposed rules can be found in the May 7, 2007 Federal Register at: http://a257.g.akamaitech.net/7/257/2422/01jan20071800/edocket.access.gpo.gov/2007/pdf/E7-8662.pdf. Colleges that accept federal funds must allow military recruiters on campus, despite university objections to the Pentagon's "don't ask, don't tell" policy that prohibits military service by gay and lesbian citizens. The Supreme Court issued its ruling on March 6, 2006. Chief Justice John Roberts wrote the decision, which was unanimous. The decision can be found at: here. NALP’s amicus brief in the FAIR v. Rumsfeld matter was filed with the United States Supreme Court on September 21. A copy of the brief may be viewed here in PDF format. Copies of all of the briefs in this litigation, including all of the amicus briefs filed on both sides, are available here: http://www.law.georgetown.edu/solomon/FAIRvRumsfeld.html. Oral argument is currently scheduled for December 6, 2005. In May 2005, NALP was asked to consider filing an amicus brief in the FAIR v. Rumsfeld appeal to the United States Supreme Court. As many of you know, the Supreme Court will hear this case about whether the Solomon Amendment legislation violates the First Amendment during its Fall 2006 term. After careful and thorough deliberation, NALP's Board of Directors decided that NALP will submit an amicus brief that specifically describes the speech components of the on campus legal recruitment process, and we have retained pro bono counsel to help us do so. 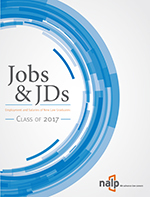 In this instance, NALP is uniquely situated to attest to the fact that the legal recruitment process and our role in advising and recruiting law students and attorneys is more than a mere economic transaction. In making this decision the Board was guided by NALP's strategic plan and core values. In particular, the Board was motivated by two of NALP's core objectives: to cultivate ethical practices and fairness in legal career counseling and planning, recruitment, employment and professional development; and to advocate for diversity in the legal profession. Once the brief is complete, a copy of it will be made available here. If you have questions about NALP's role in this matter, please contact NALP President Bonnie Hurry or any member of NALP's Board of Directors. On May 2, 2005, the United States Supreme Court granted certiorari in FAIR v. Rumsfeld. Oral arguments are scheduled for October 2005, and a ruling is expected before the end of June 2006. On January 31, 2005, another federal district court struck down the Solomon Amendment, and Yale has announced that it will ban the military this spring. Read the article in the Yale Daily News. In the fall of 1993 President Clinton announced (and then Congress later codified) the "Don't Ask, Don't Tell" policy. This policy is a practical ban on gay men, lesbians and bisexuals serving in the military, and is similar to the policies banning service by such individuals that have been in place for the past fifty years. The prohibition is not conduct related, and an honest statement by a service member of his or her sexual orientation to anyone, anywhere, anytime may lead to discharge from the armed services. Following the implementation of this policy, colleges and universities began to more broadly prohibit the military from recruiting on campus, and momentum grew for also preventing campus access to ROTC programs. AALS bylaws require its member schools to have a non-discrimination clause that includes sexual orientation, and further require that a school's facilities only be made available to employers whose practices are consistent with the AALS statement of equal opportunity. At that time, AALS policy required its member law schools to ban military recruiting unless the schools fit under one of several narrow exceptions (some religious schools, for instance). The first incarnation of the Solomon Amendment (Solomon I ) was enacted in 1995 as part of the National Defense Authorization Act. This legislation denied Department of Defense funding to colleges and universities that barred ROTC or military recruitment access. The second incarnation of the Solomon Amendment (Solomon II) was enacted in 1997 as part of the Omnibus Appropriation Act. This legislation dramatically extended the reach of Solomon by including in the list of at-risk funds all monies from the Departments of Labor, Health and Human Services, and Education. This change swept most federal research and financial aid monies into the pool of threatened funds. The Frank-Campbell Amendment was enacted in October 1999. This amendment protected student financial assistance by removing these funds from the list of at-risk monies. The Solomon legislation was also recodified in 1999, and in that process the subunit rule was eliminated. Previously, if the law school denied the military access, only the subunit of the law school was at risk of losing funds. After recodification, if the law school denied the military access, the entire university could lose federal funding. Recodification also extended the affected funds to monies from the Department of Transportation. The AALS response to the Solomon situation has been to require its member schools that are forced to allow the military on campus to take ameliorative actions which can include various outreach and services to GLBT students. Many schools use the military presence on campus to stage educational programs and/or protests. Military recruiters have demanded equal access on campus (i.e., not alternative interviewing space), and have stepped up their issuance of letters of inquiry challenging law school policies and procedures. Many schools perceive this as deliberate intimidation. Four lawsuits are currently pending that raise constitutional challenges to various aspects of the Solomon legislative scheme, including the FAIR (Forum for Academic and Institutional Rights) litigation. FAIR is an association of law schools and other academic institutions. On March 30, 2004, the House of Representatives approved, by a vote of 343-to-81, a bill strengthening the Solomon Amendment. Sponsored by Rep. Mike Rogers (R-AL), HR 3966, called the ROTC Military Recruiter Equal Access to Campus Act, clarifies the existing Solomon Amendment by explicitly stating that military recruiters must have the same access to students as other employers, and it stiffens the penalties for noncompliance by adding two new defense-related agencies which may withhold funding. The bill was first approved by the House Armed Services Committee on March 17, 2004. 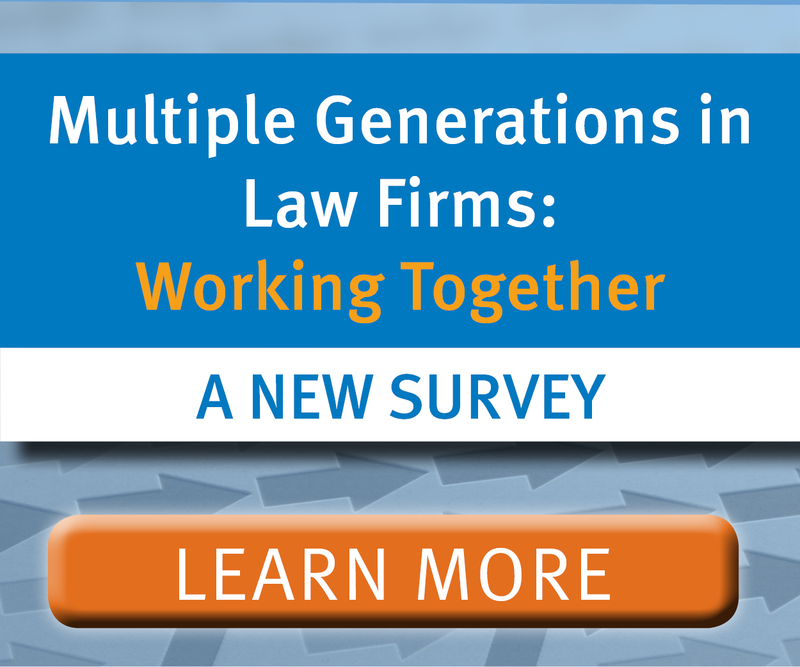 In June 2004, NALP's Board of Directors created the Solomon Amendment Task Force, which was charged with educating all NALP members about the issues surrounding the Solomon Amendment. In November 2004, in FAIR v. Rumsfeld, a suit brought by an association of 30 law schools and law faculties, the U.S. Third Circuit Court of Appeals ruled that law schools could ban the military from campus, concluding that the Solomon Amendment violates the schools' First Amendment Rights. In January, 2005, in Burt v. Rumsfeld, a suit brought by members of the Yale Law School faculty, a federal district court in Connecticut also declared the Solomon Amendment unconstitutional under the First Amendment.